All Gabions are supplied with Lacing Wire free of charge for assembly. 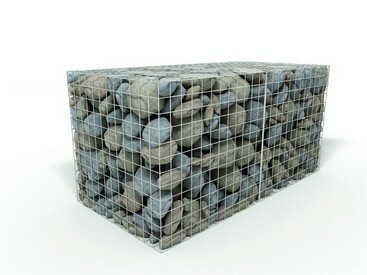 Bespoke Gabion sizes are available on request. Please contact RFA sales on 0870 011 2881. PLEASE NOTE THAT THERE IS AN ADDITIONAL CHARGE FOR GABION DELIVERIES, AND ALSO A LEAD TIME OF 5 WORKING DAYS. Welded mesh gabions are faster to erect and do not need tensioning. Allows them to keep their shape, to be free from bulges and depressions and fit easily against the wall. It is also possible to cut holes in them if needed to pass pipes etc through. Are available in a range of wire diameters to suit the application.